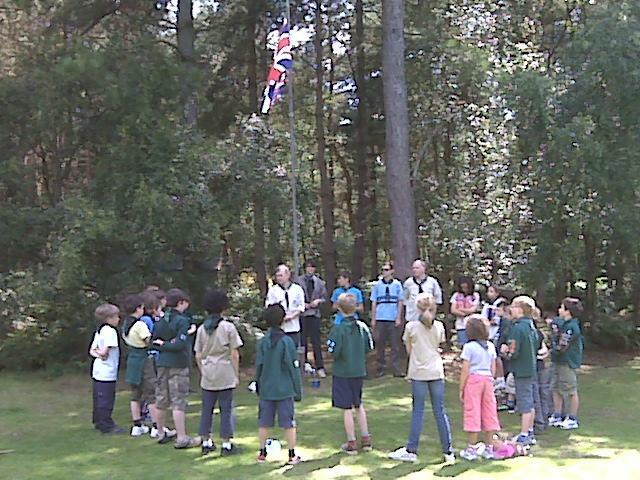 The Cubs summer camp was at Lees Wood, Herts at the end of July. 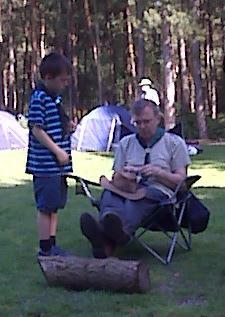 It is a wooded campsite set in countryside, despite being just inside the M25 not far from Watford. 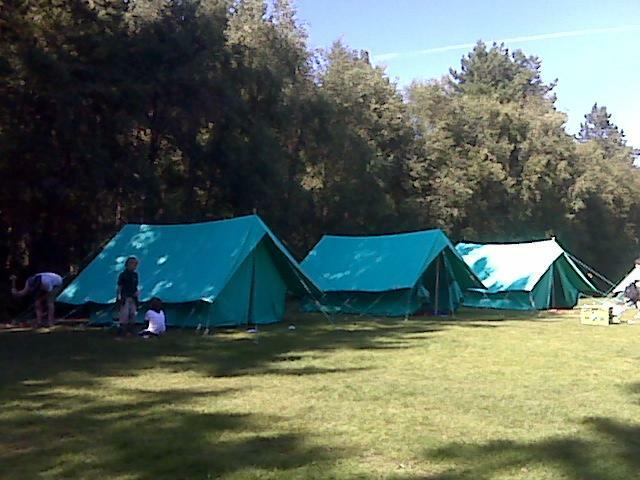 Our four new tents, courtesy of a grant from Cambridge City Council, did us proud, still looking new despite what the cub and scouts threw at them over the last year. We had as a theme ‘Feathers and Flight’ so we looked for birds in the woods, visited butterflies at nearby Butterfly World and made and decorated paper aeroplanes. After the success of the feather headresses at the previous year's American Indians summer camp we continued the policy of rewarding helpful cubs for tasks such as washing up, with headress feathers. Everyone had the chance to nominate each other for a feather at our afternoon camp meetings. We did air rifle shooting, archery and climbing along with all the more traditional camp activities of fire lighting, outdoor cooking and sports. We also went on an expedition through the woods at the back of the site to a nearby park where we had a go on the miniature railway. 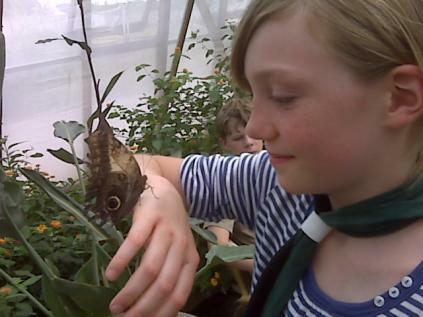 We made a visit to Butterfly World near the junction between the M25 and the M1 where we learnt about caterpillars, moths and butterflies.